You want to learn crochet, but have no idea where to start? You would love to set to work on some gorgeous yarny creations, but find patterns and charts confusing and scary? 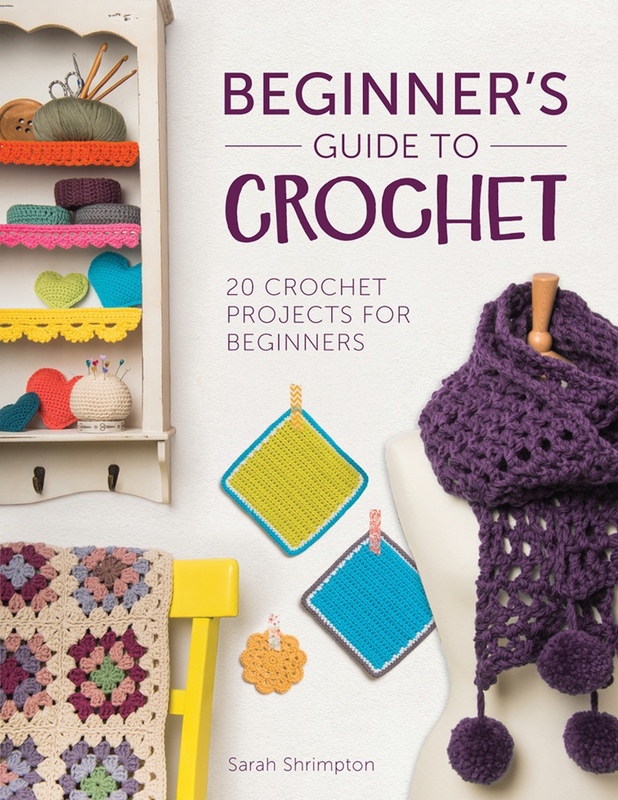 Then let author Sarah Shrimpton guide you through the basics, with this book you'll learn to crochet and complete your first project in just one day. To top this, did you know there are actually only a handful of stitches you need to learn to be competent at this super-yarny craft? It’s what you do with them that can create something as simple as a dishcloth or as complicated as a teddy bear. Beginner’s Guide to Crochet comprehensively teaches all the basic crochet techniques, skills and stitches to get you started. Each new technique is explained with accompanying photographs and diagrams and is followed directly with a project utilizing those skills. Later projects combine several techniques and stitches helping you to develop your skill set and tackle more complicated projects. There are 20 modern projects, plus a section dedicated to 'extreme crochet', using t-shirt yarn to create larger-than-life crocheted creations. The author's chatty, informal style will take you on on your journey from newbie to fully-fledged crocheter in no time. Before you know it you'll be crocheting everything from scarves and hats to the obligatory granny blanket with ease, and making fantastic homemade presents for friends and family.